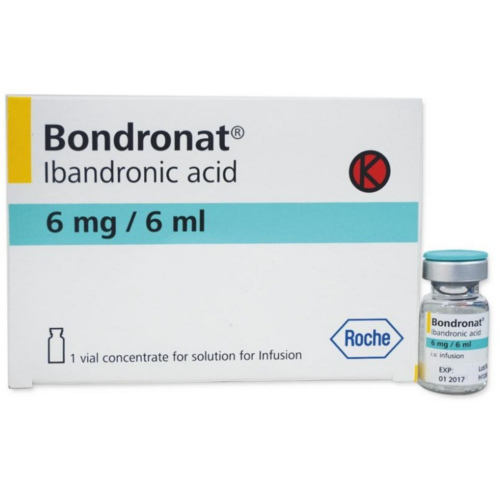 Bondronat is basically used to treat patients who have problems in their bones.It is used in the treatment of osteoporosis in post menopausal women as it slows down the process of weakening of the bones. It is also commonly used to prevent further damage of bones in patients who have breast cancer and their cancer has spread to the bones. It is known to reduce the probability of hip fractures and other bone fractures. Note :- bondronat is a prescription drug and should be used under proper medical guidance and advice. Do not share the medicine with others, since they may be suffering from a problem that is not effectively treated by this drug.